These figures represent Landskneckt officers. They don't come with spears. An officer would be armed with a Boar Spear, Pike or Halberd. 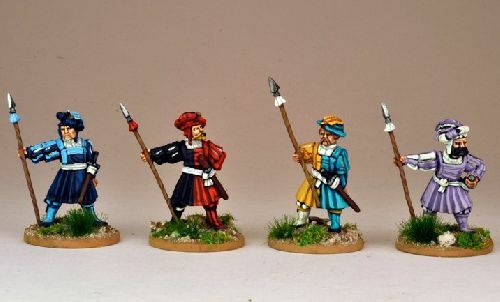 If you add pikes to these figures and field them as a unit, they can be used as a Guard regiment such as the Papal Guard or Maximillians Guard.